and the future European Capital of Culture! Matera is an ancient city that seems to have existed forever. It is the third oldest city in the world, after Aleppo and Jericho, with over 10,000 years of history. The rock caves, the rocky Murgia of Matera and some primitive dwellings of the Sassi tell of ancient settlements. Over time, Matera has seen the growth of various ethnic groups and monks who have stabilised and started to characterize the nature of this place of endless charm. From natural cavities carved by wind and rain of the past to the first man-made caves we can discover how easy it was to shape the limestone material of the Sassi rock. Hence real underground dwellings, in the belly of Mother Earth, which will leave you speechless. And in these cavities, were born the first houses ever built with local rock from the stone quarries. A bizarre architecture outlined an abnormal representation of buildings boxed into one another, creating a veritable tangle of alleys and small neighborhoods, where the roof of a house became the overlying floor and a wall torn down would often combine two adjacent rooms. A woven structure that has intrigued experts has also discovered how it had been possible to live with the absence of running water. There is still a lot to tell about the water systems created to collect water, one of the elements that has helped to give in Matera the title of a World Heritage Site. You can visit the most beautiful churches, starting from the Duomo on the Civita; walk through the beautiful streets and traffic-free squares, populated with people; you can enjoy the most picturesque alleys, and you will continue your visit in the heart of the two Sassi’s. There, you’ll jump to years gone by, finding out how one could have lived in a cave house and visit some of the oldest stone churches; You will understand the magic of the neighborhood and of sharing a world of agriculture and farm-life; You will see the majesty of the Murgia, the natural canyon of Gravina, and you’ll see opposite the Belvedere of Matera. It is difficult to summarise just how many beauties and opportunities Matera offers and we do not want to spoil the surprise: please just make the most of your time on your next trip to Matera and take away the memories of many things made possible by the local wonders. Who really knows Matera? 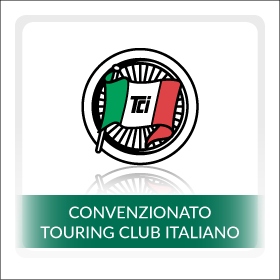 In its playful, gastronomical and cultural aspects, we will guide you expertly and you will discover what this cit has to offer. We await you in Matera! We are pleased to listen to your requests and search together for such tourist services that can help. The city of Matera, European Capital of Culture 2019, awaits you with its centuries of history and its modern beauty.